CM-BH4W Belt-Pack 4-Wire Headphone Amp. The CM-BH4W is a portable, battery powered 4 wire communication unit for use in a multitude of TV and radio broadcasting applications. The CM-BH4W uses audio transformers at its input and output, providing galvanic isolation from outside interference, ensuring your communications are loud and clear, every time. 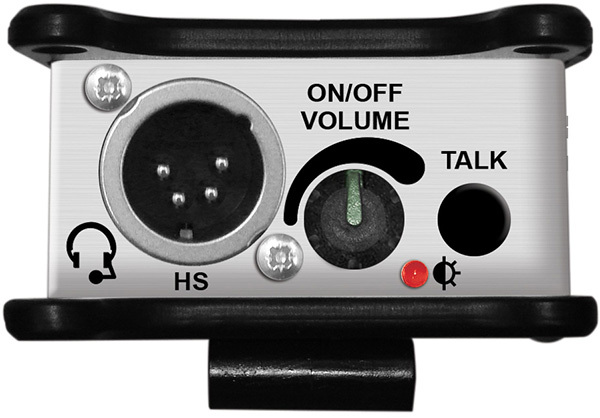 In 4-wire mode, the unit acts as a 2-way intercom, with input audio routed to the headset earpiece, and microphone audio is routed to the output upon pressing the talk button. The output level is maintained at +2dBu peak level by a built-in AGC. In IFB mode, the input audio is routed to the output, and is interrupted by the microphone signal when the talk switch is pressed. 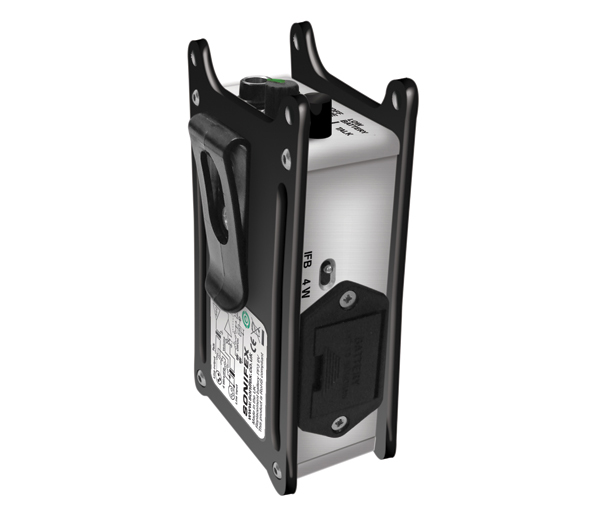 The talk switch can easily be converted from momentary to latching operation to suit your application. A low battery warning LED flashes when the 9V PP3 battery has depleted to 6V, giving plenty of notice to swap the battery. In addition, the CM-BH4W automatically switches off when the headset jack is removed, and the low power circuitry gives up to 150 hours use from a single alkaline 9V PP3 battery. 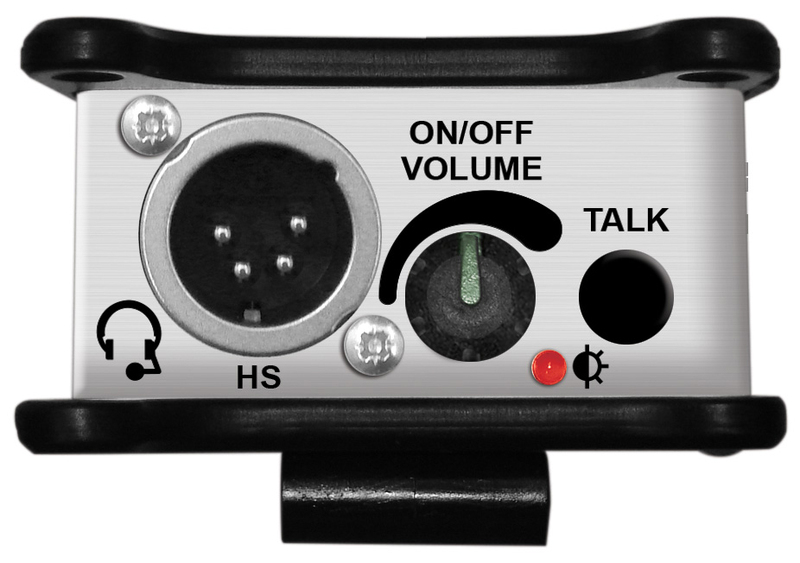 The CM-BH4WX is a version of the CM-BH4W with a 4 pin XLR headset connection instead of a stereo jack connector. In all other respects it is the same as the CM-BH4W.